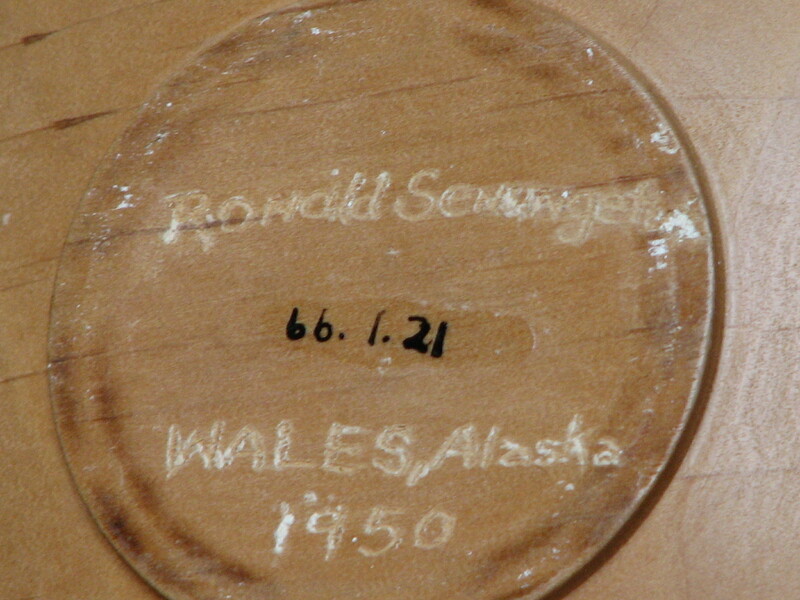 Ronald Senungetuk (born 1933) is an Inupiat artist originally from Wales, Alaska who works primarily in wood and metal. He is a sculptor and silversmith and is known for his abstractions of animal figures. He trained at the School for American Craftsmen at the Rochester Institute of Technology and in Oslo, Norway, on a Fulbright Fellowship at Statens Håndværks og Kunstindustriskole. He and his wife, Turid, an accomplished silversmith, live in Homer. 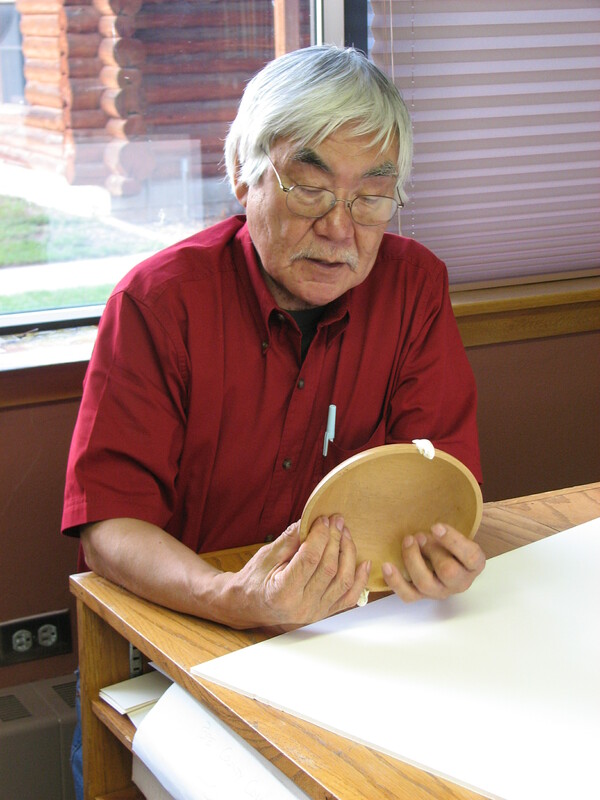 Senungetuk started the University of Alaska Fairbanks‘ metalsmithing program and was director of its Native Art Center. He received the Rasmuson Foundation’s 2007 Distinguished Artist Award, and has received many other awards and recognitions for his work. 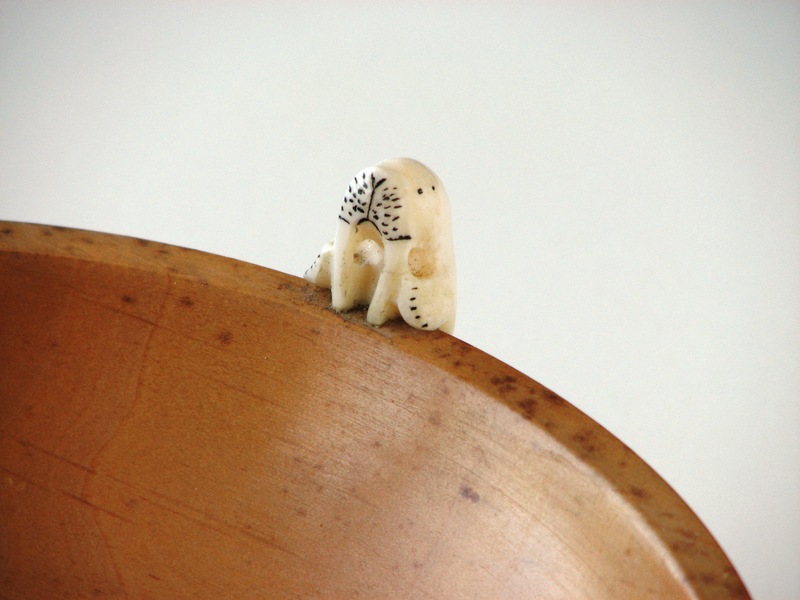 He is the creator of a small wooden bowl with tiny ivory walruses on the edge. He made the bowl at Mt. Edgecombe High School (Alaska) in 1950 when he was 15 years old. When I started researching the various pieces in the Helbing collection, I typed the name of each artist into Google. It was amazing to learn that so many talented and famous artists are represented in the collection. The most thrilling Google search was for Ronald Senungetuk. The Google search revealed much about his career in art and education, but the most thrilling part of all was that I found contact information. At last – a living connection to the collection! 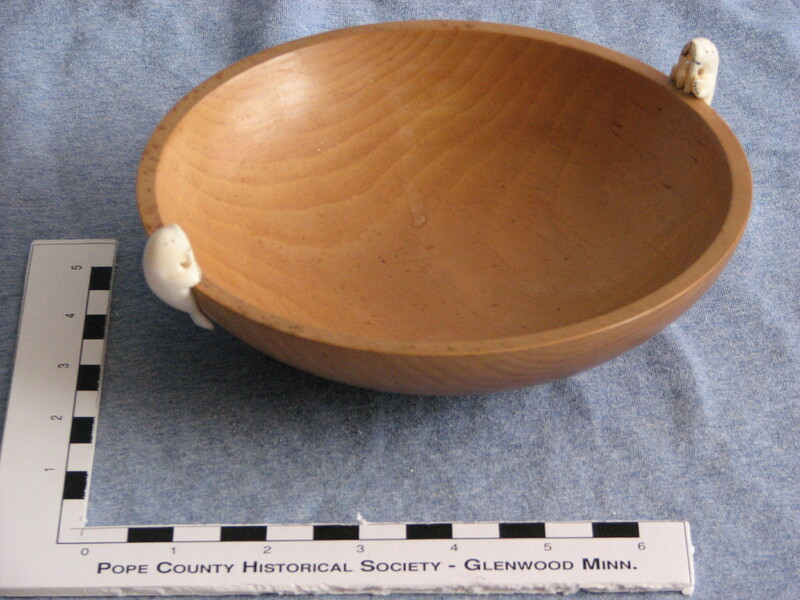 We contacted him and he agreed to travel to Minnesota to speak here at the museum. Thanks to a grant from the Lakes Region Arts Council, we were able to reunite artist and artwork and learn about his life, Indian schools, and his artistic career. 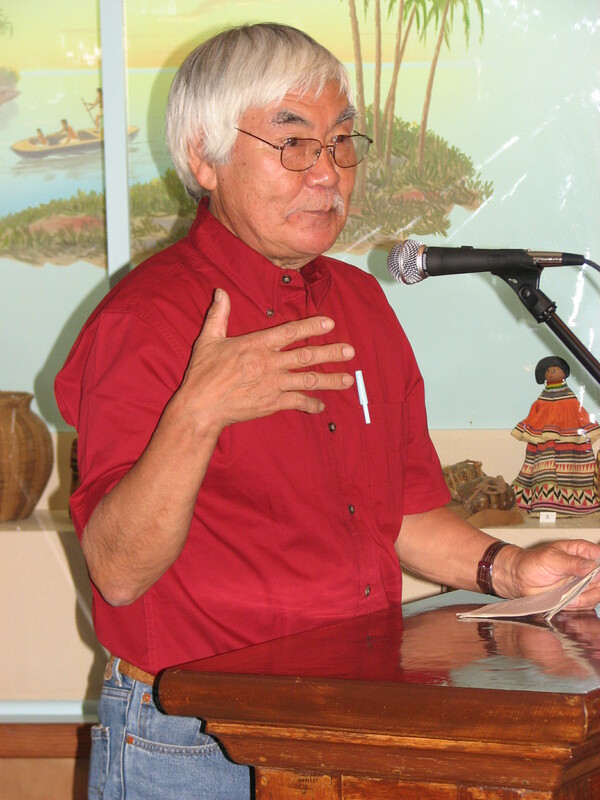 To read his thoughts on native life in Alaska, click here. This entry was posted in Collection Notes and tagged A-Z, Alaska, Cleora Helbing, Inupiat, museum collection, Native American art, Ronald Senungetuk. Bookmark the permalink.